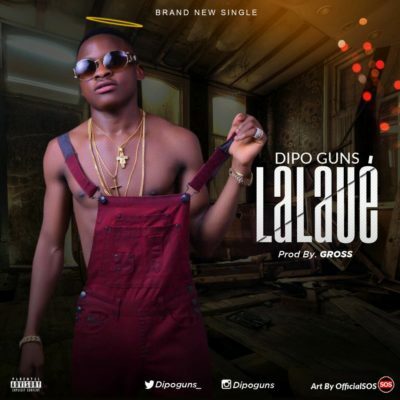 New Kid on the block – 20 years old Oladipupo Ogundipe John popular known as " DipoGuns" is a talented and young Lagos based artiste whom started doing music from the age of 10. DipoGuns has exhibited much talent as an recording artist, writer, performer and record producer, his senior brother known as' 'The Moon' ' saw these talents and potentials and has since been supporting and managing him. `LALAUÉ " is an Afrocalypso sound and was produced by GROSS, this is the type of song that you can listen to when having a good time, watch out for this kid.